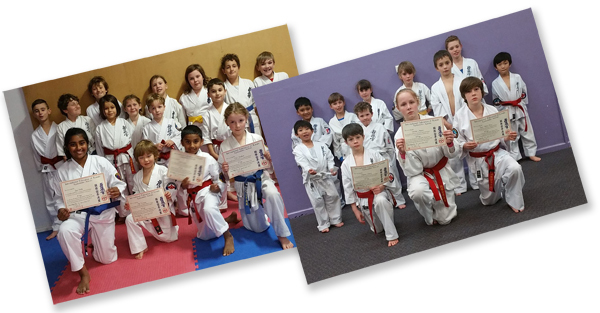 More of the Kuro Obi kids after the grading - Petersham and Newtown. Classes will be running as normal at Petersham, but as usual, Newtown classes will not be running. During the holidays, all Newtown students are invited to come and train at Petersham. Classes are Monday, Tuesday, Thursday, and Friday - 5:45-6:45. In case you haven't been there yet, click aon the link below for a map. The next Mark Mitchell seminar will be on the 23rd July. Online bookings will be available soon. Keep that date free - you really don't want to miss it. It's especially appropriate for anyone planning on going to a full contact tournament or a senior grading. Online bookings made after Wednesday 19th July, and any cash booking, will incur a $10 handling fee. Our next interclub tournament is the kata tournament. We've already started practicing now for this event - team kata requires a lot of practice! Entry per competitor will be $30 on paper, or $20 online. Ask me for a paper form if you prefer it that way. It's not far off! If you're planning on grading for 4th (green belt) or higher, start preparing now! If you're not sure what you have to do, ask me as soon as possible. The dates for the 2018 Camp have been confirmed! We've also managed to confirm that once more, Shihan David (now 7th Dan) will be attending again. Make sure you book this in your calendar.